There’s not much new in home shopping, but ShopNBC has been pulling a few good ones out of its hat. For example, today it’s dedicated all day to watch sales, a first-ever for the network. The No. 3 home shopping network has tried to distinguish itself by offering upscale watches, and it sells such high-end brands as Gucci, Movado and Tag Heuer, to name a few. It has also sold Invicta and other assorted brands for years. 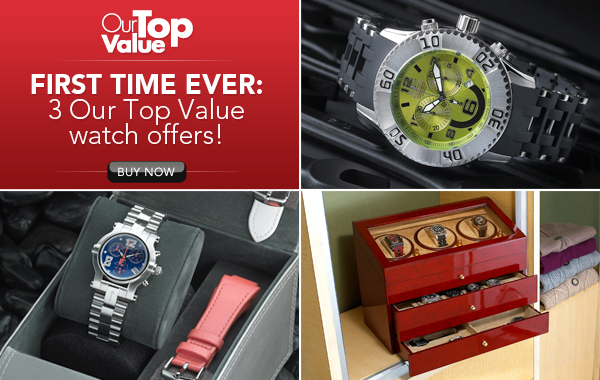 For Sunday’s event ShopNBC has three watches as its Our Top Value, as well. ShopNBC, which wants to be home shopping’s premier destination for watches, on Monday will be selling timepieces from the hipster/edgy Ed Hardy. The selection of watches from the clothing-design line will be on at 2 a.m. Monday morning. We especially liked a “Heart Krush” Quartz women’s watch, with its heart-shaped face, at $150. There is also a fun men’s “Gladiator” watch, with the Ed Hardy signature graphic art on its face, for $116. ShopNBC also has a stock of upscale watches it’s selling, including Gucci, Tag Heuer and Movado. ShopNBC has expanded its luxury-watch assortment, adding high-end brands Tag Heuer and Movado to Gucci in its inventory. All this just in time for the holidays, in case you’re looking for a gift for us. But you better have have a fat wallet if you want to buy any of these timepieces. There is a Movado mother of pearl women’s Rondiro watch at $1,760; a Tag Heuer men’s Aquaracer at $1,187; and a Gucci women’s Signoria stainless steel watch with diamonds and mother of pearl, at $1,333. 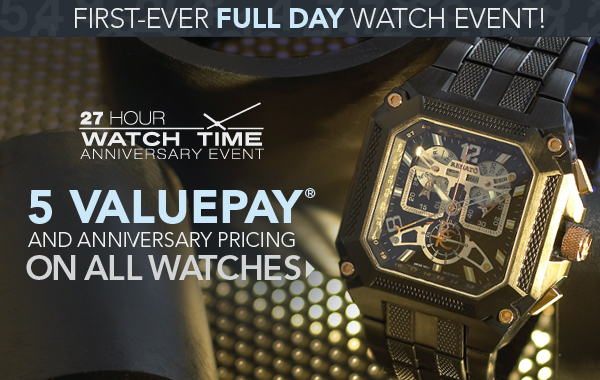 But ShopNBC is trying to help you out: The watches are all on five Value Pays.